Alex Lew: FAQ: How do we know if a blockchain transaction is valid? FAQ: How do we know if a blockchain transaction is valid? 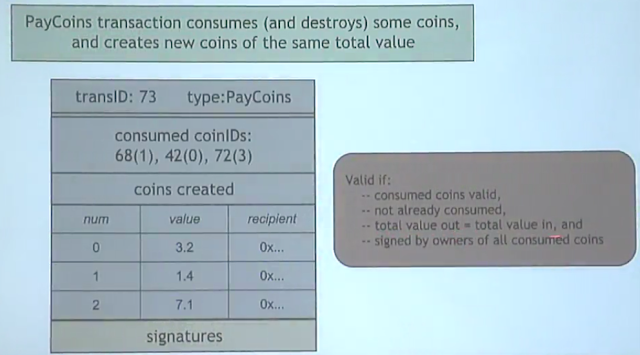 First, if the consumed coins are valid, that is they really were created in previous transactions. Second, that the consumed coins were not already consumed in some previous transaction, this is not a double-spend. Third, that the total value of the coins that come out of this transaction is equal to the total value of the coins that went in. And finally that the transaction is validly signed by the owners of all of the consumed coins.